The latest issue of Magnolia Journal (spring 2019) has several quick bread recipes. And I know I promised a lot more vegan and plant-based modification recipes from Magnolia Table Cookbook. (Writing life has kind of taken over a bit more lately). So on this rainy day, with the newest issue in hand, I dove in and turned the recipe vegan. The cinnamon and nut bread recipe called for 1 egg, which I switched out for chia seeds along with 1 cup milk which I substituted with soy milk. The recipe also called for vegetable oil, but I didn’t have any on hand, so I used olive oil. The baking time didn’t change with these modifications. I did add a bit of clove spice, which was not in the recipe. First, I have absolutely no idea what I’m doing when seasoning tofu. I think it might be a year long process to figure out. And that is why mine failed for my latest plant based flip on Magnolia Table recipe. But it looks good, so that’s what matters. On this lastest recipe swap I made cashew alfredo sauce over whole wheat linguine noodles and breaded tofu. The alfredo portion was good, but the tofu was two thumbs down. Multiple cashew cheese recipes can be located on the internet. I used one from Bettter Homes and Garden’s latest issue. I love all things Hearth and Hand & Magnolia. Having switched to a mostly planted based lifestyle about 8 months ago I was bummed to hear that Joanna Gaines had a cookbook coming out. After having flipped through it, I figured I could at least make a few recipes for cheat days. Then it dawned on me, why not see if I can modify the recipes to fit a more plant based diet? Even at 8 months into plant based, I’m still learning and trying new recipes. Yet, there are not a great deal to pick from this far into the game. And let me be honest, some of them don’t even look good. Alas, I decided that I should post about this grand baking adventure of modifying Magnolia Table’s recipes. I know there will be many fails, but that’s okay. I hope ya’ll enjoy this and future posts as I journey forward. To start off I tried the Chocolate Chip Cookie recipe. I didn’t modify the butter as I’m still working on learning that aspect with baking. I always use the butter in the picture above. I did swap out the 2 eggs for chia seeds. I have done this swap before in cakes and browines, but never cookies. While cook time remained the same. I did have to add about 1/4 cup of water to the recipe. They came out very flat and didn’t look anything like the picture from Magnolia Table, but they were super soft and chewy. I thought they tasted great. Okay, so if you are looking for an easy last minute turkey recipe, it’s here. Any pound turkey works, I use one that has been chopped down to about 5 pounds, but have done this recipe on a full 10 pound plus one. Take your turkey and a pot or whichever you like to brine your turkey in. Then like you would butter, rub your turkey with bacon grease. Rub it well, then shove a little bit inside the bird. Let it sit overnight (Wednesday). Thursday, take your turkey and stuff it with cut lemon wedges, salt, pepper, and an whole thing of garlic (peeled and ends cut off). Cook as normal. Make sure you add foil to cover the bird, with the bacon grease it can brown quick. I usually remove the foil about thirty to fourty minutes before the turkey is done. As I started to read the book Brain Maker by David Perlmutter, MD (2015), I came across a startling quote in the introduction. What I read shocked me! Across the world there are two and a half million people with multiple sclerosis (a disease which took my mom’s life in 1996). There has not been any form of a cure for this disease and it’s apparently increasing in numbers. As the book progresses it takes a look at Alzheimer’s disease and the notation of inflammation within the brain of an Alzheimer’s patient. The focus is on gut health and so it discusses how coffee can improve the gut’s health and thus lower your risks of type 2 diabetes, stroke, Parkinson’s, cancers, and Alzheimer’s. It also mentions heart diseases simply because of the intestinal bacteria and the way that it digests the coffee bean fiber. 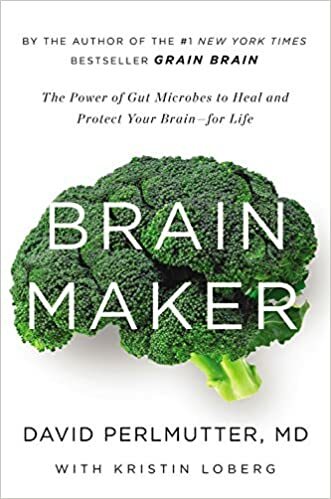 In addition, the book discusses depression and anti depression medication and the way that it affects the gut (the neurotransmitter activity with chemicals found in the brain that are produced in the gut). Yes the book does have an entire chapter chapter on autism and gut bacteria. 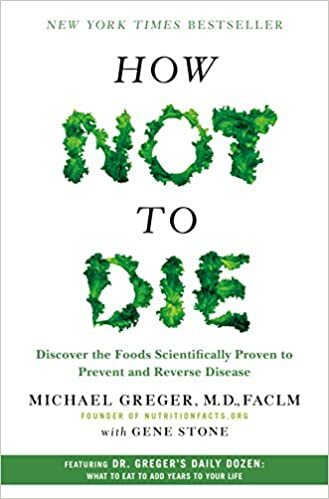 Second, I read How Not to Die by Dr. Michael Gregor (2105). Another book showcasing how a plant based diet is beneficial. While this book focuses on the same diagnosis as Dr. Perlmutter’s book, it speaks more to what to eat and what not to, over gut health. This book is a door-stopper, literally, it’s huge. Dr. Gregor also runs Nutrition Facts website which I find myself visiting weekly. I know there are many varied opinions. But, gosh golly gee, I feel so much better. My entire body, when I follow a plant based diet. Sure I miss foods, but once you beat the craving, it’s almost like a food you never missed. In this process of switching my diet up I’ve learned about many fruits and vegetables that I never knew about, let alone tried. While I have cheat days, they become less appealing every time. I find myself craving the new way. Keep in mind, I didn’t think I could switch to a new diet when I first started. Yet, here I am, happy to have made the switch.